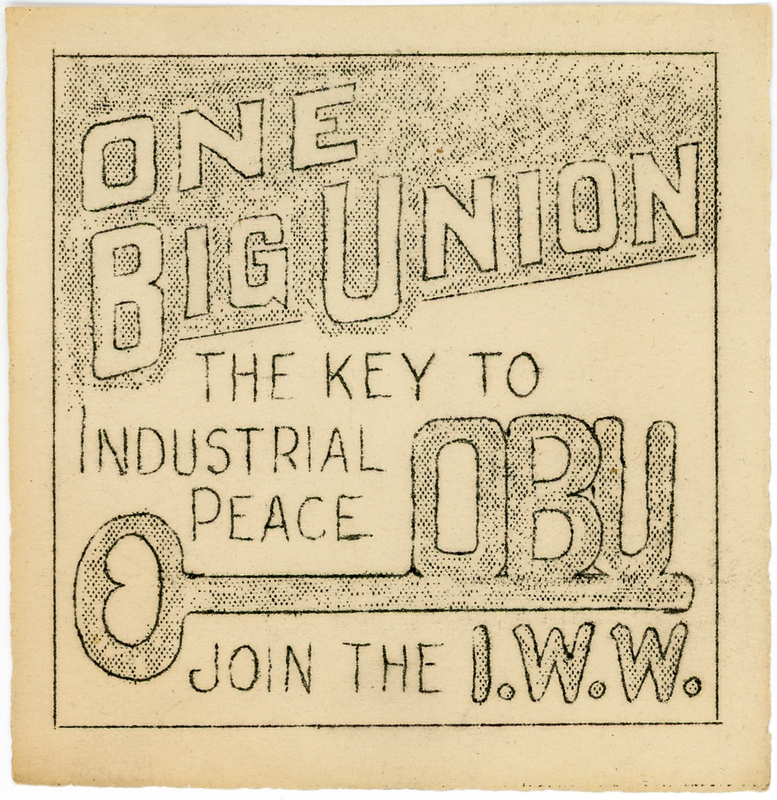 The Key To Industrial Peace -- OBU -- Join The I.W.W. Gummed paper label known as "stickerette" or "silent agitator." he Key To Industrial Peace -- OBU -- Join The I.W.W.